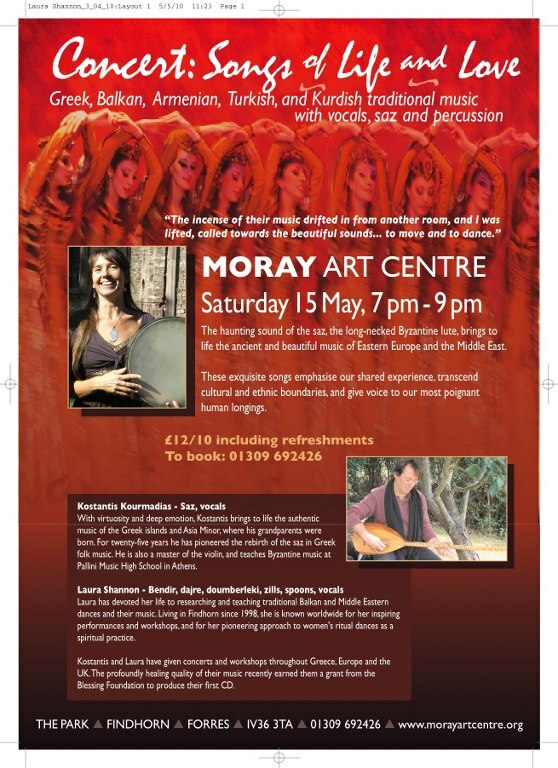 On May 15th, 2010, Kostantis and I gave a concert of Greek, Armenian, Turkish, Kurdish and Balkan music in the Moray Art Centre here in Findhorn, a lovely and welcoming space dedicated to beauty. We offered the evening as an oasis of peace, to send prayers for healing towards Greece and its n eighbours, as well as in our own hearts and lives. 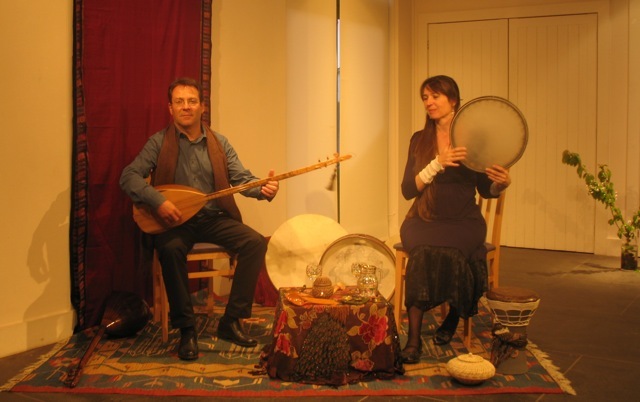 The songs come from cultures who throughout history have survived similar times of great upheaval; the music invokes the dignity, grace and devotion which are the keys to safe passage through times of transformation. The dances do the same. May your dancing this year, wherever you are, also bring you back in close connection with the source of hope and healing as in inspiration for your own life and creativity.